It’s one of the biggest and most memorable days of your life… your wedding day! From the moment that gorgeous engagement ring goes on to the moment you’re walking down the aisle towards the love of your life, it’s one of the happiest and most exciting times in the history of being you. 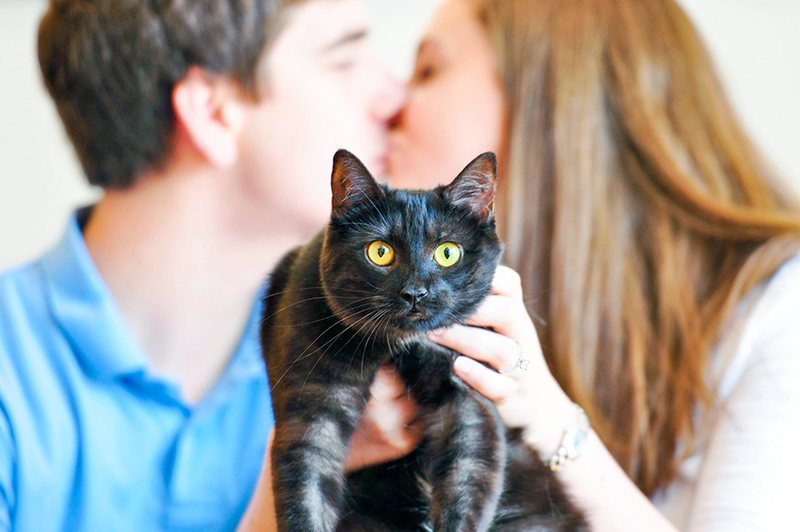 It’s no surprise then that more and more couples are looking to include their furkid in these amazing moments. Once you’ve made the decision, there are a few options to consider. One of the biggest challenges with this option is location, location, location. While some venues are recognizing and running with this trend, pet-friendly venues are hard to come by. So, first things first, do some research and see what the options, if any, are. Next, make sure someone will be dedicated to accompanying and taking care of your pet while you lovebirds are busy getting married. Make sure that person has water, treats and maybe even a toy or two to help keep your pet happy during downtime. Also, you’ve likely already booked your wedding photographer. That person is usually not going to have had much focus on pets in their photography repertoire. If you communicate with your photographer before-hand and explain that you’d like them to focus some of their attention specifically on including your pet in shots, with you and your partner, as well as solo, you’ll be set. Finally, if it’s your thing, don’t miss out on some of the ADORABLE pet accessories and formal-wear that’s out there these days. 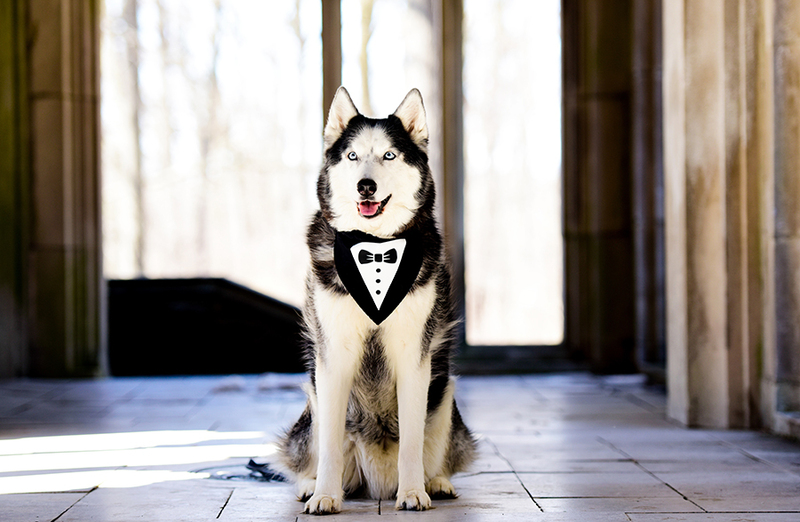 Seriously, just google “tuxedo bandana” or “formal wear” for pets, you’ll burst from all the cute stuff you’ll find. And, your photos will come out amazing! Of course, not every wedding will be suited to have your buddy there in “pawson” that magical day. And that’s okay, too. There are other great ways to include your baby in this wonderful time of your life. 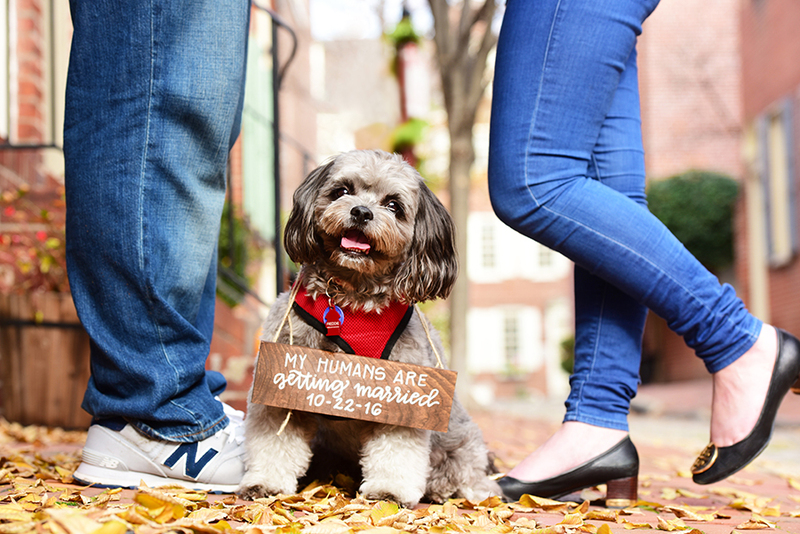 Try including your furkid in your engagement / save the date photography session. This is a super fun and relaxed way to have your pet be a part of your celebration. And, you can, of course, include all the fun accessories and props you want! 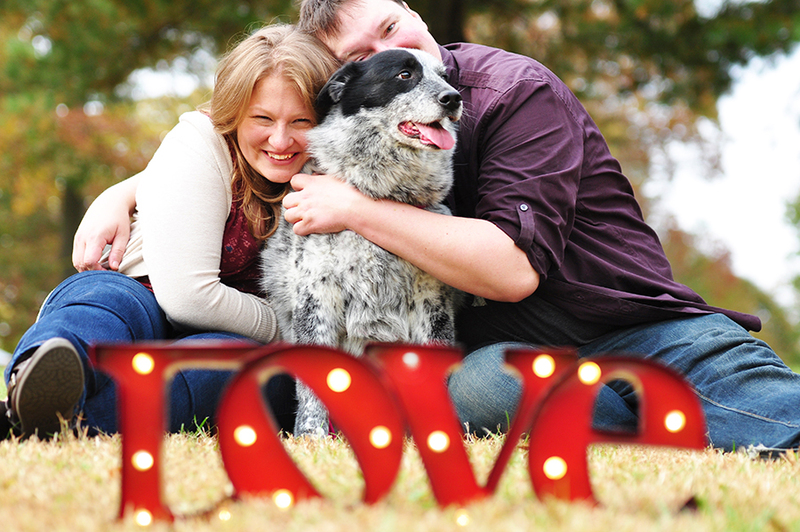 Finally, you can also consider a post-wedding, or even a first wedding anniversary, photo session with your furkid. If you can’t have your pet there with you on your wedding day, booking a session after your wedding with your pet can be a wonderful way to continue the celebration. 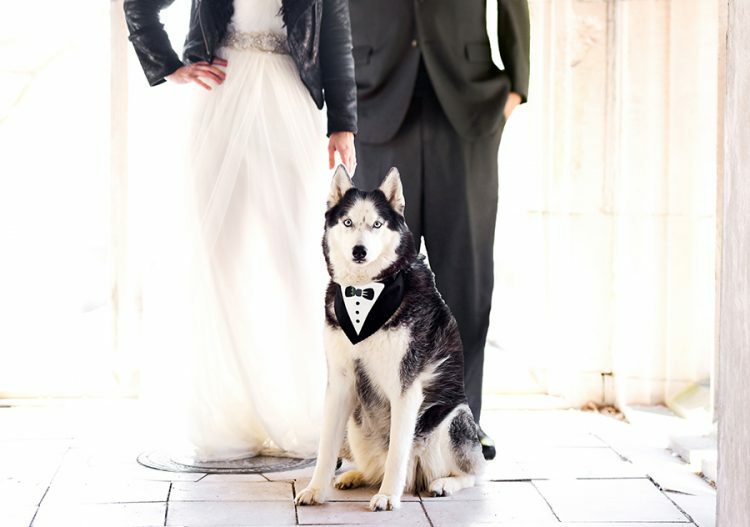 If you are up for it, you can even re-create some of the day by wearing your wedding outfits, having your flowers available and including all the formal wear/accessories for your pet. Another unique option is a first-anniversary session with your furkid. This makes for an incredibly thoughtful first wedding anniversary gift, too (hint, hint)! No matter which of these options you choose, there is no doubt about it: You love your furkid and he/she should be a part of this incredibly memorable time in your life. Don’t let the opportunity pass you by, but do be mindful of any specific needs your pet may have. Hopefully, one of these ideas will fit your furkid and your vision. With a little planning and thinking ahead, it’s totally possible and worth it. And most important of all, you’ll never have to say, “I wish we had…”. 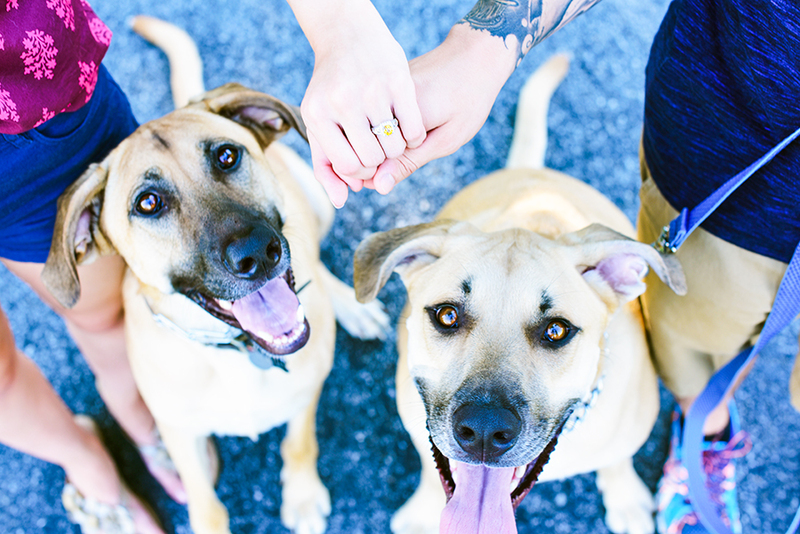 Do you plan on incorporating pets at your wedding?